It’s a while since I did an Ebay Wishlist, I have to say it’s my favourite post to read because of all the little gems you can find online! 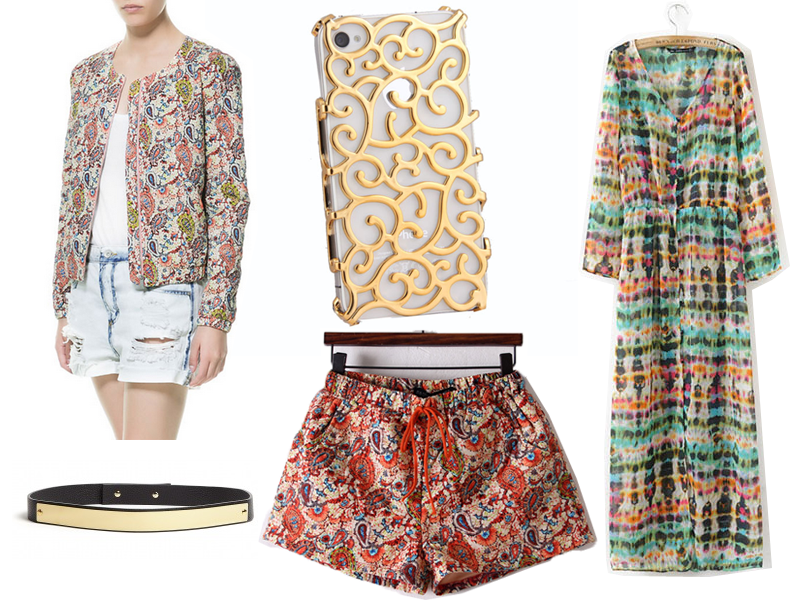 It seems I have a slight obsession for Paisley print in this wishlist, the jacket has got to be my all time favourite, the colours are so pretty and summery and I think it’s something that could be both smart and casual. I’m also loving these styled belts right now, this one would look perfect with a high waisted skater skirt! Printed shorts are another love of mine right now, they’re perfect for the summer heat! The gold iphone case is something I’ve been after for a while, it just looks so classy and expensive!! Finally the long chiffon cardi, I chose this purely because I’ve seen so many bloggers rocking it right now! It seems like a great cover up and would look perfect with some shorts and a crop.